Installing and commissioning (or repairing) an electrical system requires that the wiring is checked as correct and that it meets regulation continuity and earth leakage resistance standards. In rail signalling, there is a further purpose: to ensure that there is no leakage to earth that in turn could operate a relay and cause a wrong-side failure. 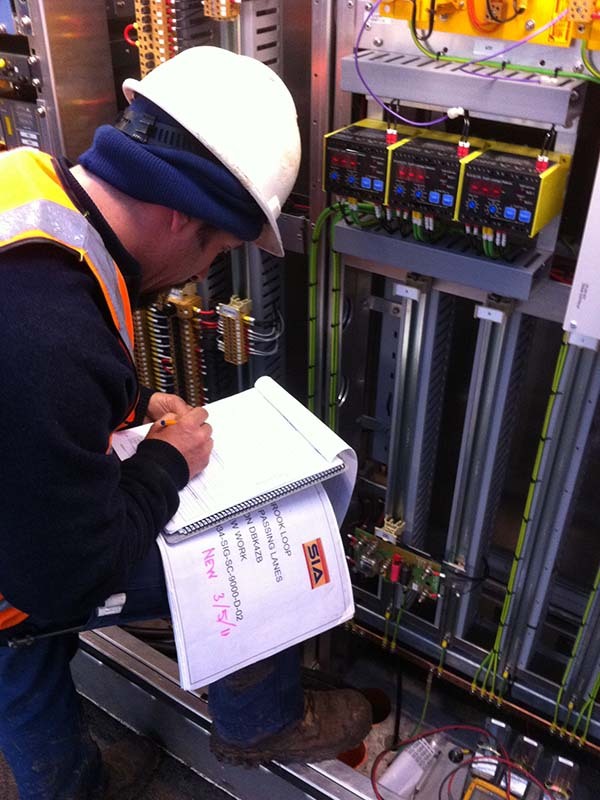 Rail signal testing is a discipline that demands specialised knowledge and skills at different levels. The following role descriptors provide a basic overview of the kind of work expected of a person in each testing role with suggested qualification requirements. Cable testing is carried out by a trade qualified electrician (who holds a Certificate III in Electrotechnology Electrician or equivalent) and requires no specialised signalling knowledge. The objective of cable testing is to verify that an installation, whether new or repaired, is physically in accordance with the detailed designs and specification for the work. Results are recorded and reported to a Tester-in-Charge, who is typically a senior technician and who has absolute responsibility for the organisation and satisfactory completion of the testing. Existing rail signal equipment that’s in operational use must be regularly tested to ensure its functionality meets company/rail operator standards for safe operation. 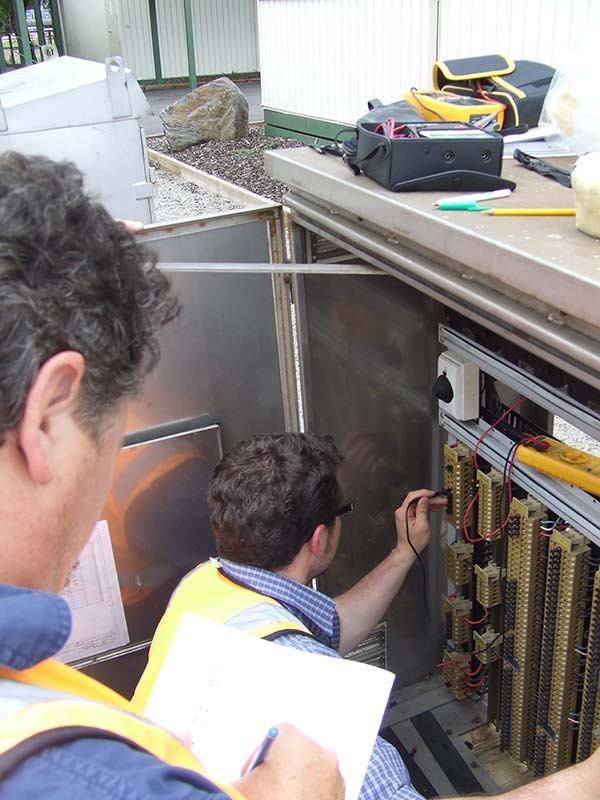 Testing of rail signal equipment is typically conducted by a qualified signal maintenance technician who holds a Certificate IV in Electrical–Rail Signalling (or equivalent). On completion of testing, the person conducting the test certifies the equipment return to normal service. 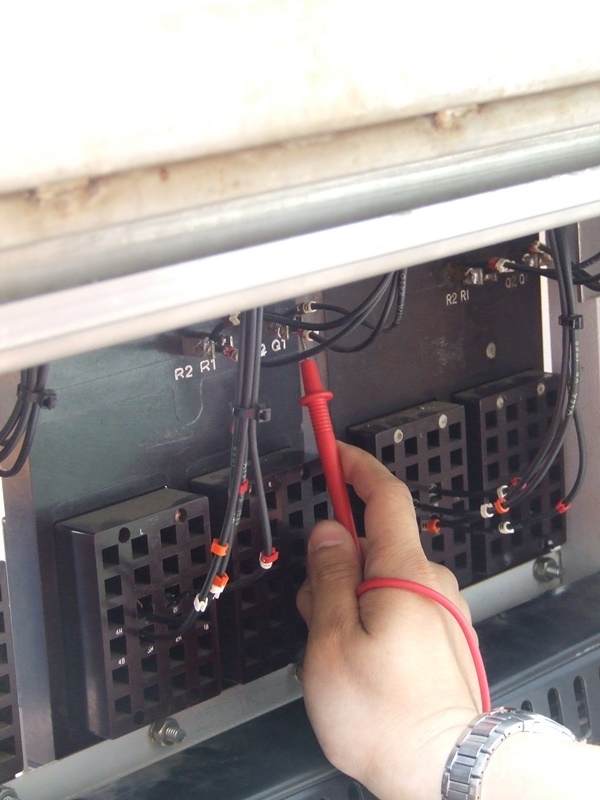 Testing and commissioning of newly installed rails signalling equipment is conducted by a tester who typically holds an engineering-level qualification. Once it’s confirmed that the equipment meets Victorian Rail Industry Operators Group Standards and/or asset owner specifications, the tester certifies that the equipment is fit for use. Before being released to the market or a worksite, factory accredited testing is conducted to ensure the operational integrity of signalling equipment. Qualified engineering staff are responsible for testing and test results. During the design and development phase of signalling systems equipment (for example, relay interlocking and computer-based interlocking systems), logic controls tests will be conducted to ensure that controls are correctly engineered and that they meet signalling safety standards. Testing of this nature will generally be conducted by or under the supervision of a qualified engineer.